Intergate, in conjunction with our travel visa partner, offers a bespoke Morocco visa service that provides advice, compilation of the application, submission and return. Who needs a Morocco visa? Visitors to Morocco must obtain a visa to enter the country unless they come from one of the visa exempt countries. Tourist visa: This visa allows tourists to Morocco to enter the country. Business visa: For short-term business related activities. 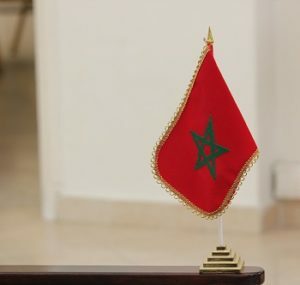 Moroccan visas are applied for at Embassies of Morocco. Do I have to go in person to submit my Morocco visa application? The processing time for Congolese visas are anywhere between two to 15 days. Moroccan visitor and business visas are valid for 90 days. The most essential requirement, for both visas, is that your passport is valid for at least six months from the time you enter Morocco.